When it comes to clouds, high-flying cirrus are the exceptions. Unlike clouds in the lower and middle altitudes, which are made largely of water droplets, cirrus contain tiny ice crystals. Low- and mid-level clouds darken the sky, and even though cirrus do block some sunlight, you hardly notice. They are simply too high — 6,000 meters and above — and too gauzy. While lower clouds can easily be studied from airplanes, few planes can reach the top of cirrus clouds, which can reach 18,000 meters. While lower clouds affect our weather, causing shadow, rain and snow, cirrus affect climate and global warming. 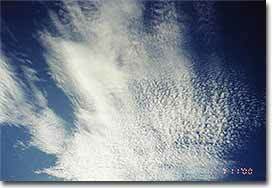 Granted, cirrus clouds are less obvious than the familiar clouds that cause rain, snow and storms. But they still play a critical role in our fate, and major questions remain, especially concerning their actual water content. "We don't know how much ice is in the upper atmosphere — is in cirrus clouds," says Steven Ackerman, a professor of atmospheric science at University of Wisconsin-Madison. "When we run global models of the climate, the amount of ice differs by a factor of seven, and we have no measurements to say who's right and who's wrong." Beyond shedding light on global warming, this information would help flesh out the hydrologic cycle — the global transfer of water among land, ocean and atmosphere on which life depends. 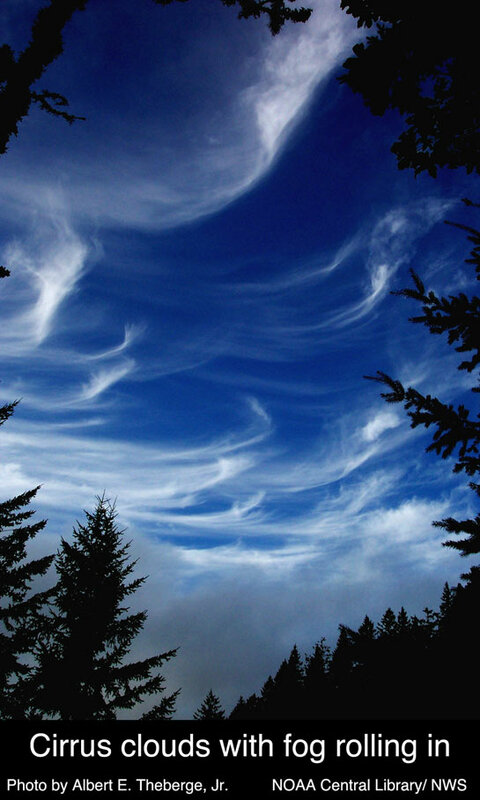 In fact, the cirrus conundrum concerns not just quantity, but quality. Ice crystals in cirrus clouds range from a few millionths to a few thousandths of a meter in size. Depending on size, crystals may reflect the sun's energy directly back to space, reducing global warming. 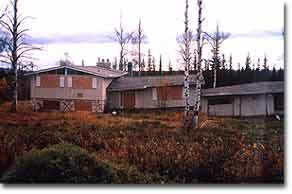 Or they may reduce outgoing infrared radiation from Earth, having the opposite effect. The exact role of cirrus clouds in climate is "a function of how much ice is in the clouds, and the size of ice particles," says Ackerman, "and we don't know that either." Real measurements would vastly improve our ability to predict — and perhaps eventually to halt — global warming caused by carbon dioxide and other gases in the atmosphere. If you're starting to imagine that Ackerman has a solution to the cirrus data gap, you're on target. He wants to place an instrument on the International Space Station to measure the total amount of ice in the atmosphere and the average crystal sizes. In other words, he's seeking a financial budget to examine the global water budget — a crucial element of the gathering global warming crisis. Winter can be a crisis to those of us living in the frozen North. What evil force brings cirrus clouds and frigid winter misery?